Bring a fresh, modern look into your bathroom with this vanity. Put together your perfect bathroom with this stylish vanity set from Wyndham Collection. Designed with a modern style and strong build, this vanity is a perfect choice for any bathroom. Make your bathroom look like new with this good-looking, useful set from Wyndham Collection. For a bit of modern style in your bathroom, choose this beautiful vanity. Bring a classic look and feel to your bathroom with this beautiful set from Wyndham Collection. For some added modern style in your bathroom, choose this beautiful vanity. Bring a classic look and feel to your bathroom with this beautiful set from Wyndham Collection. If you want a vanity that is both stylish and useful, this modern vanity is perfect. Put a classic feel in your bathroom with this good-looking set from Wyndham Collection. 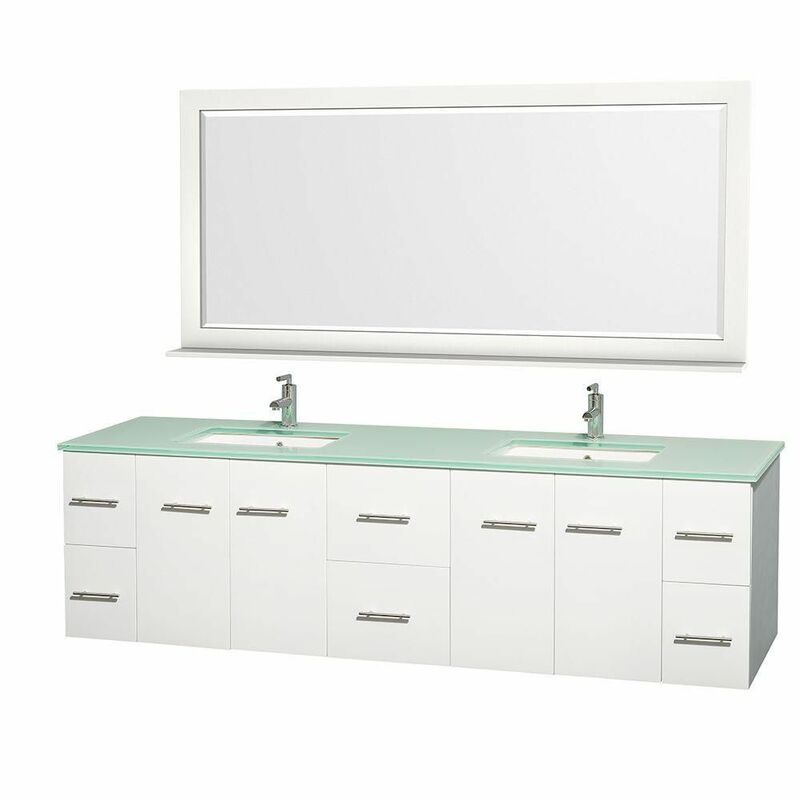 Centra 80-inch W 6-Drawer 4-Door Wall Mounted Vanity in White With Top in Green, Double Basins Bring a fresh, modern look into your bathroom with this vanity. Put together your perfect bathroom with this stylish vanity set from Wyndham Collection. Centra 80-inch W 6-Drawer 4-Door Wall Mounted Vanity in White With Top in Green, Double Basins is rated 4.0 out of 5 by 1. Rated 4 out of 5 by keith from Sleek and modern Great vanity but mounting hardware not the best. I bought the 80 inch and it’s heavy. I used lag bolts to mount it. And without mirror.